A seamless cotton polyester glove with a nitrile coated palm, one of the toughest of gloves the THORNMASTER 350R is a must when working where there is a cut risk or if extra protection is needed. 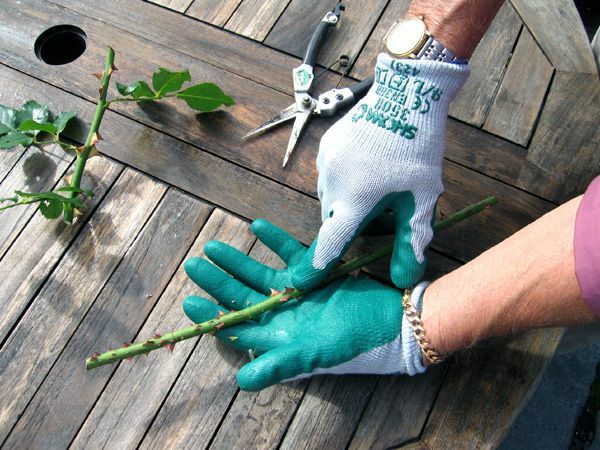 Add these to your armoury of gloves to give yourself protection when dealing with the thorny side of plant life! AS OF JULY 2018 EXTRA LARGE THORNMASTERS are available in clearance at a vastly reduced price. Go to'Specials' followed by 'Clearance'.